Being in Westford will make any passerby feel as though they have traveled to a historical place in time and also feel right at home given the town’s suburban quaintness. It is a destination not far to travel in order to find a bit of relaxation and who doesn’t want relaxation during the hot summer months? Kimball Farms is a must see that has been serving families homemade ice cream for over 75 years! 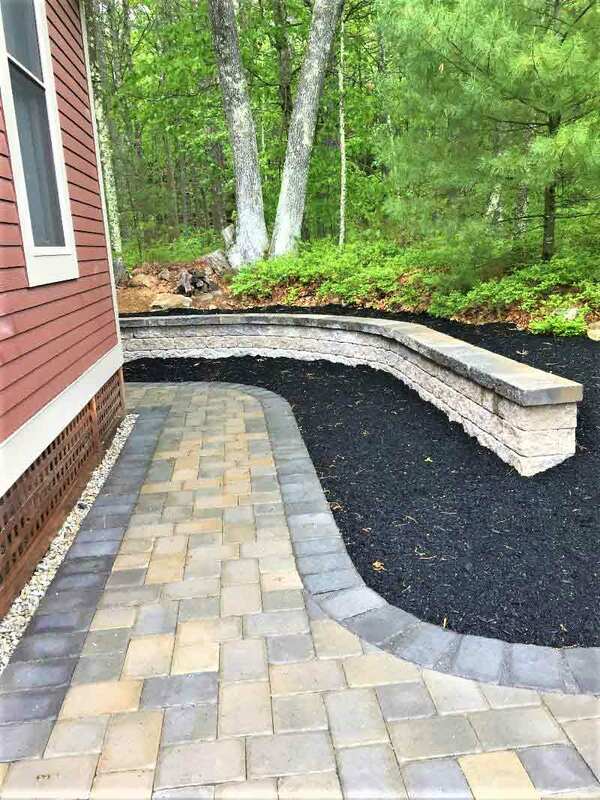 Along with its unique attractions, Westford is steeped in old architecture and tying a hardscape project into that kind of culture is always a treat for us! 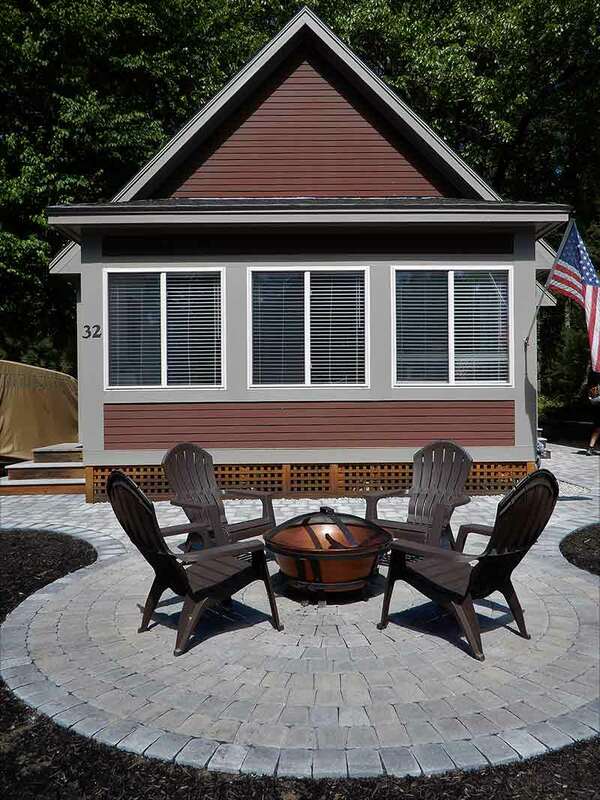 Our featured project this week is at Summer Village in Westford. This quiet lovely retreat is a seasonal waterfront cottage community nestled in the woods. Summer Village puts a luxurious spin on a secluded outdoor getaway. We were excited to create and enhance the comfortability of this outdoor living space while preserving Westford’s rich historical background. This outdoor environment has transformed from an already relaxing location into a home away from home with durable pavers and stonework that can be enjoyed and utilized every day. The cottage’s new patios are perfect for outdoor entertaining sure to impress family and friends! Adding walkways and stonewalls have made this cottage even more charming and picturesque than ever before. Trying to imagine and visualize the end result and choosing the proper materials for your project can be overwhelming. We enjoy working with our customers and creating unique customized hardscape solutions to complement your style. 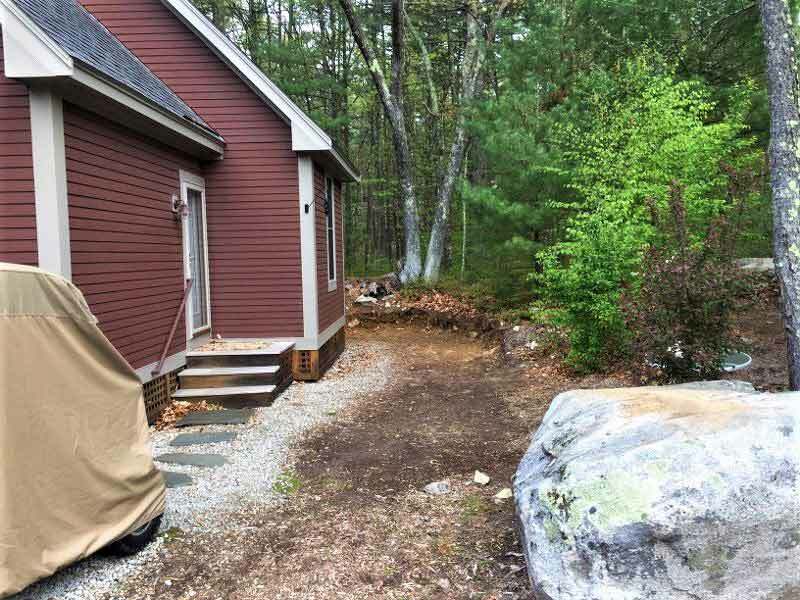 For this Westford cottage project, Yankee Cobble pavers were used to create a rustic look and blend with the natural environment. Vineyard blend neutral earth tones were incorporated to co-exist with the current landscape. Durable Roman Pisa wall block was used at this site to ensure strength, durability, and beauty for years to come just as the woodland area does. 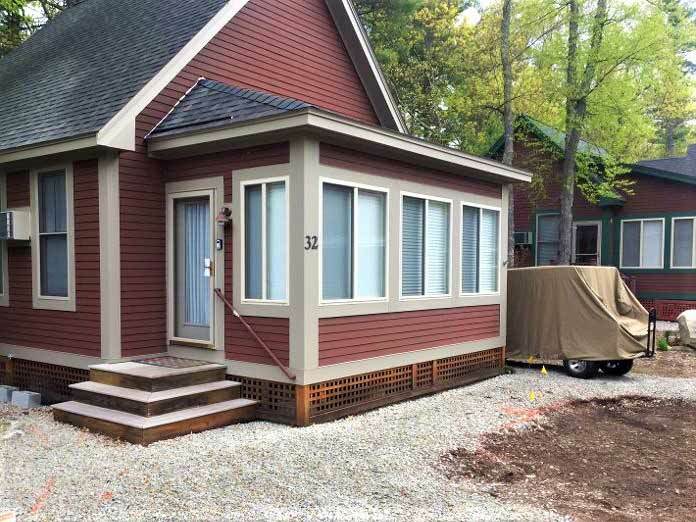 The hardscape details and changes to this inspiring Westford lakeside cottage truly add another level of attractiveness and relaxation to this reinvented space.